Medicare is a type of health insurance that the federal government offers to people who are 65 years of age or older. It is also provided to certain younger people who suffer from disabilities and others who suffer from fatal diseases. There are different types of Medicare coverage, including Medicare Part A, Medicare Part B, Medicare Part C and Medicare Part D.
Medicare Part A, hospital insurance, is the type of Medicare that all people get. It covers basic services like in-patient hospital stays. Medicare Part B is medical insurance. Part B is essentially Medicare health insurance that individuals have to pay a monthly premium to have. Medicare Part C is the type that is covered by private companies. This means that the private companies pay for their clients’ Medicare Part A and B coverages. Medicare Part D is the type of coverage that applies specifically to paying for people’s prescription medications. Medicare Part D Prescription Drug Coverage is offered to everyone who has Medicare. Therefore, in order for an individual to be eligible for Medicare Part D, he or she must first have basic Medicare coverage. When people enroll in Medicare, they can opt for the prescription drug coverage plans. But if they choose not to do so initially, they could end up having to pay more later on, if they decide that they want the coverage down the road. They might even have to pay a late payment penalty. How do I get Medicare Part D Prescription Drug Coverage? Medicare Prescription Drug Plans (PDPs) are those that simply add prescription drug coverage to Original Medicare. These types of plans can also add prescription drug coverage to some Medicare Medical Savings Account (MSA) Plans, some Medicare Private Fee-for-Service (PFFS) Plans and some Medicare Cost Plans. Medicare Advantage (MA) Plans are simply Medicare Part C Plans. They provide people with hospital insurance, medical insurance and prescription drug coverage; all are covered through their plans. Not all MA Plans come with this coverage. In order to get this type of coverage, individuals must have both Medicare Part A and Medicare Part B through their providers. People who just turned 65 years old and are newly eligible for Medicare may sign up for a Medicare Part D coverage plan during their seven-month enrollment period. This begins three months before the month that they turn 65. It ends three months after the month that they turn 65. People under 65 who are eligible for Medicare because they are disabled may sign up for a Medicare Part D or Medicare Part C Plan. This 7-month enrollment period begins three months before their 25th month of receiving their Social Security or Railroad Retirement Board (RRB) Benefits. It ends three months after their 25th month of receiving their benefits. People who don’t have Medicare Part A coverage but are enrolled in Medicare Part B during the general enrollment period can sign up for prescription drug coverage plan. People who have Medicare Part A and signed up for Medicare Part B during the general enrollment period may sign up for a Medicare Advantage Plan. What drugs do Medicare Prescription Drug Plans cover? The drugs that are covered under Medicare prescription drug plans depend on the plan’s formulary, is the list of covered drugs. Most Medicare prescription drug plans place drugs into different tiers on their formularies. The drug’s tier affects its cost. Generally, drugs in higher tiers cost more than drugs in lower tiers. In some cases, physicians may believe that patients need a higher-tier drug. Should that occur, patients can ask their prescription drug plan providers for exceptions; this may reduce the copayments on their prescriptions. The types of prescriptions drug plans available to enrollees varies, depending upon their location. The drug selection may also depend on your individual Medicare information. The Medicare website offers individuals a plan finder tab. This allows users to search for and compare various prescription drug plans offered in their areas. There is even a customizable search that allows users to input their Medicare card numbers, dates of birth, effective Medicare Part A coverage dates and locations. Entering this information provides users with more accurate cost estimates of Medicare Part D prescription plans. . The costs of such plans vary, based upon individual information, as well as location and coverage type. Getting prescriptions is a common part of going to the doctor. For people who have monthly, recurring prescriptions, it might be beneficial for them to invest in a Medicare Part D Prescription Drug Plan. Individuals may have previously opted out of Medicare Part D coverage when they initially enrolled in Medicare. But now, they realize that they need this coverage. If so, they can enroll in a Medicare Part D Prescription Drug Plan during the general enrollment period offered to all Medicare holders every year. You may consider exploring this website, HealthNetwork.com, as well. 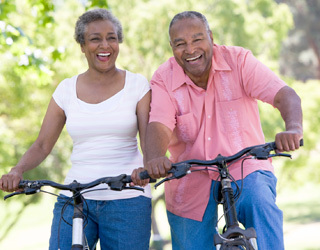 We provide a full selection of Medicare Part D Prescription Drug Plans.